We’ve created another event website for our wonderful long-time customer, Greater North County Chamber of Commerce. This one is for their Kickball Tournament. 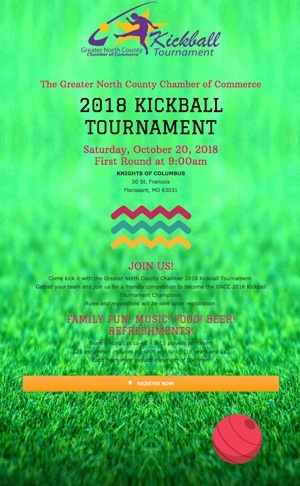 These one page websites are fun, quick, and a great way to promote an upcoming event with a unique domain name and website just for the event. And if you are currently a Blue’s ArtHouse maintenance customer, usually your maintenance plan will cover the development cost. A new website and great event promotion tool for no extra cost? WIN-WIN!! So if you’ve got a big event coming up, give us a call.